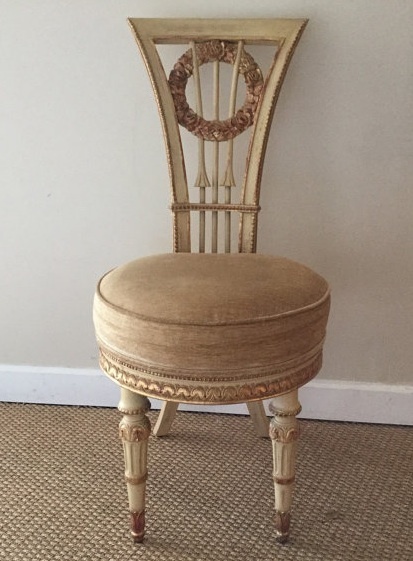 The Relished Roost: The Petite Chair and Surprise! The Petite Chair and Surprise! I think every home should have a little chair. You know that special little chair that one can pull up to a conversation without lugging it across the room. 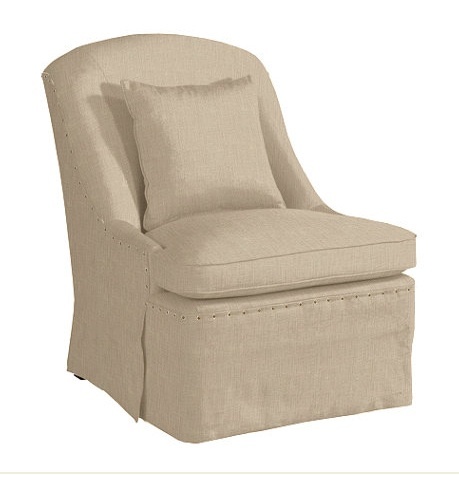 The chair that looks so pretty propped next to a fireplace or in a foyer. Finally the chair that does double duty as a seat and a table for books or magazines. Is it obvious that i love chairs! 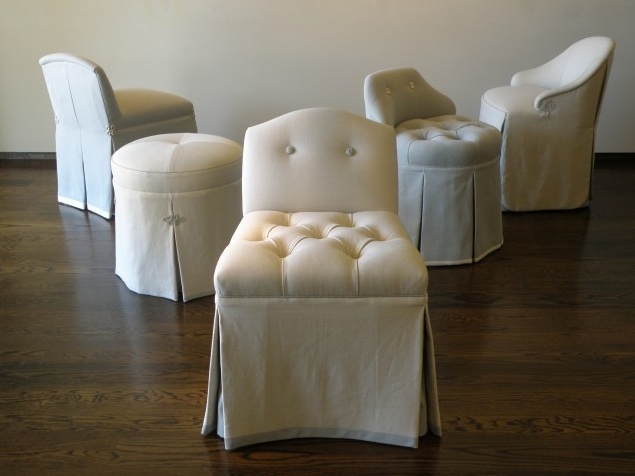 My favorite designer, who I think is the queen of petite chairs is Suzanne Kasler! She uses them so effortlessly in spaces. The little chairs make spaces look so visually interesting as your eye wanders around at various heights and widths. Do you have a favorite little chair? Okay as for the surprise, all my readers can get 10% off lamps shades at CruelMountainDesigns on Etsy! 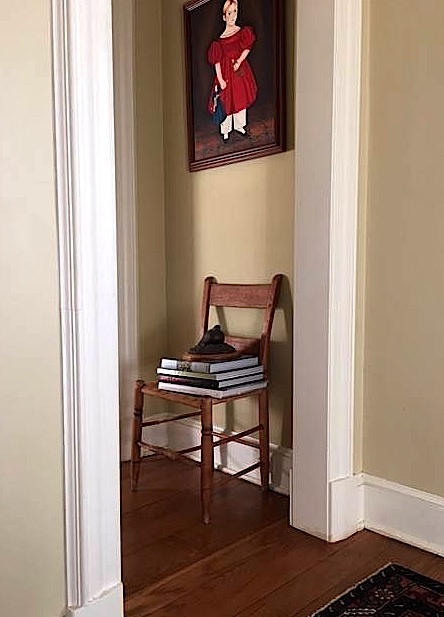 One of my little chairs outside my powder room used for books and accents. 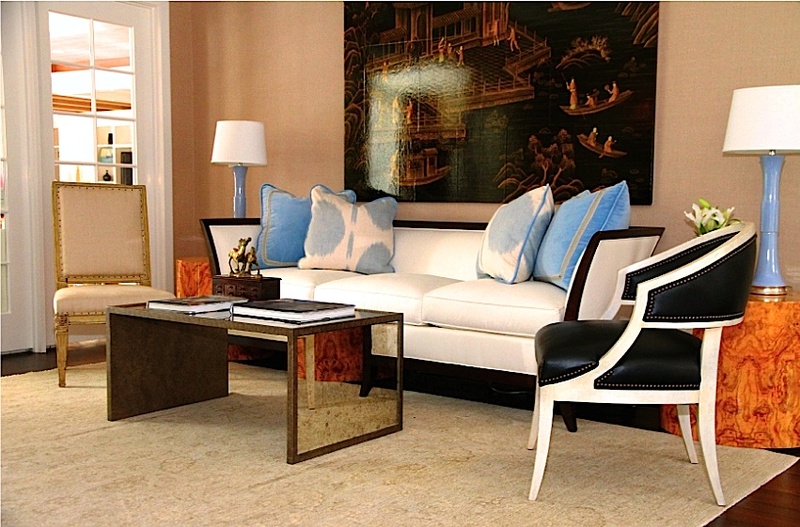 A petite low antique chair on the left used in a clients room. The queen of petite chairs Suzanne Kasler below! 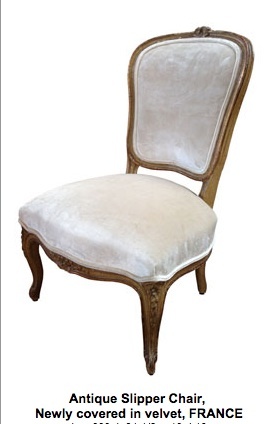 You too can have a Suzanne petite chair from Hickory Chair! 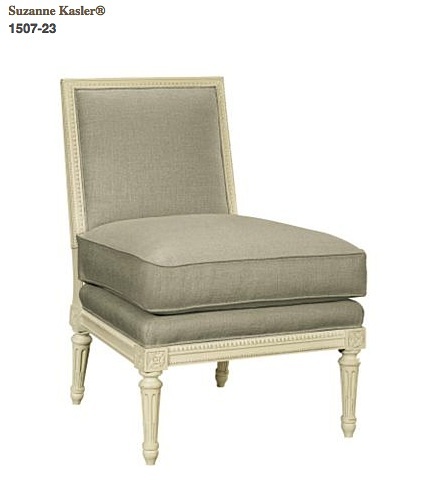 I love these petite vanity chairs that I think can be used anywhere! 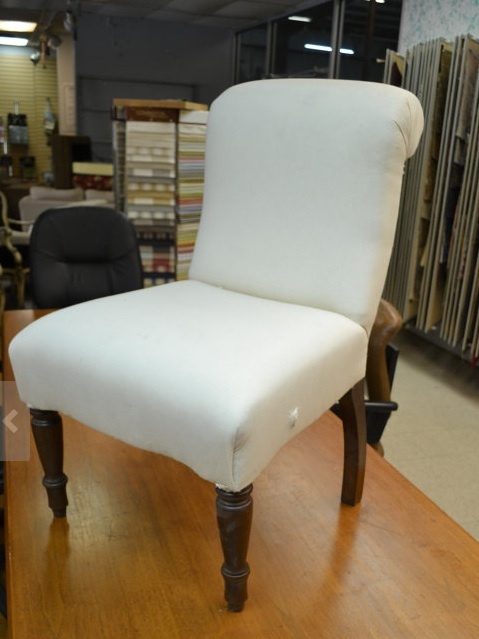 So an antique or custom chair not in your budget no worries check out this cutie from Ballard! 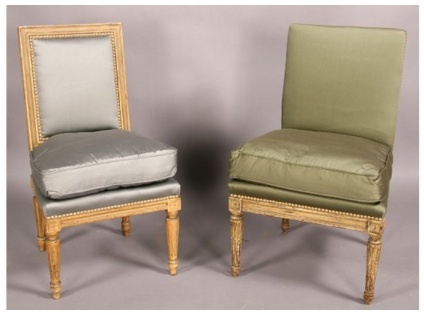 Darn, I was too late to bid on these beauties can you imagine them in livingroom? This lovely little gem is from Bonny Neiman. 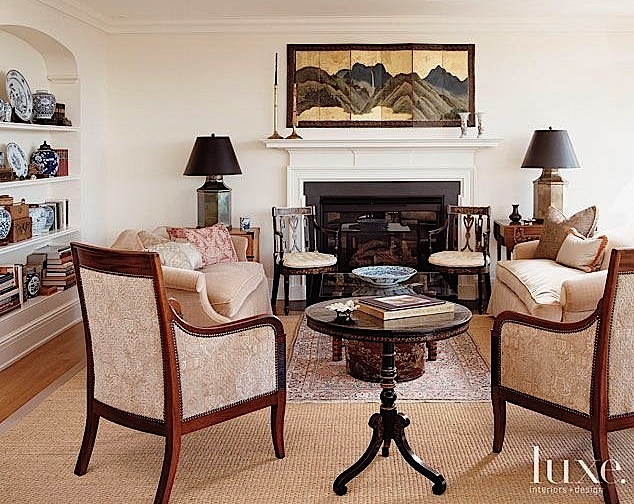 Again a reminder of how lovely little chairs look flanking a fireplace! Okay this little one has Suzanne Kasler written allover it! This one comes as a pair and is waiting for the right fabric and I am feeling a water fall skirt! Oh you are so right, everyone needs a little chair! I want one now... Running out of floor space but Karolyn you planted the seed! Please post when you get your little chair !! I like little chairs because I am height challenged. I LOVE your darling chair. Have a great weekend, sweet Karolyn. Indeed it’s a cute idea. I am grateful to you for sharing it here. Saw something similar in last party I attended at a local event space. 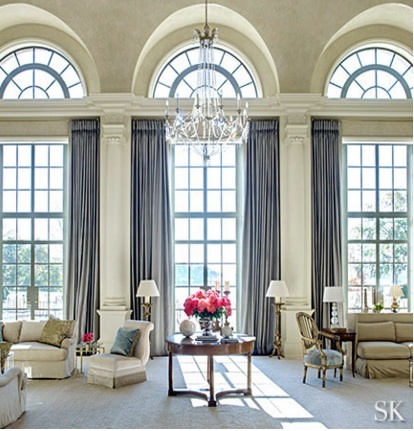 They arranged everything perfectly and interiors were equally amazing. Just loved their services.